DEA, FDA and OSHA compliance ﬁnes for facilities manufacturing or housing pharmaceuticals can be substantial. There have been documented ﬁnes for organizations that have failed to meet these compliance standards ranging from $2.2 Million to $80 Million. 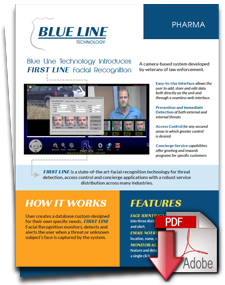 FIRST LINE Facial Recognition can identify, validate and authenticate the countless individuals involved through the life cycle of the controlled substances. Additionally, FIRST LINE Facial Recognition will improve security around speciﬁc access and distribution points. FIRST LINE Facial Recognition houses a database that provides a compliance-friendly reporting tracking system which veriﬁes time and attendance. 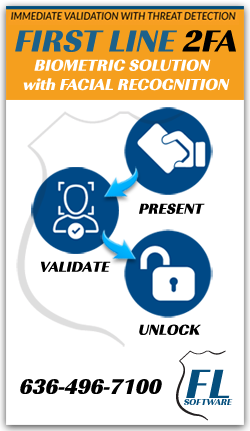 Speciﬁc areas where facial recognition will greatly reduce risk of compliance ﬁnes include shipping and receiving, R&D, drug vaults, product inspection and packing.